After Seattle I flew down to San Francisco to meet my husband who was on his way back to New Zealand from a meeting in Europe. It was the start of my trip and I didn't want to weigh my luggage down too early so I didn't really visit fabric shops and although I tried to visit galleries I found that many were closed , including MOMA, which is closed for construction at the moment. One really fantastic thing happened in SF, I met a friend who I went to Hospital Hill School with in 1972 in Nairobi, Kenya. Karim and his partner had recently spent some time back in Nairobi and had been back to our old school. It was really great to meet him again. 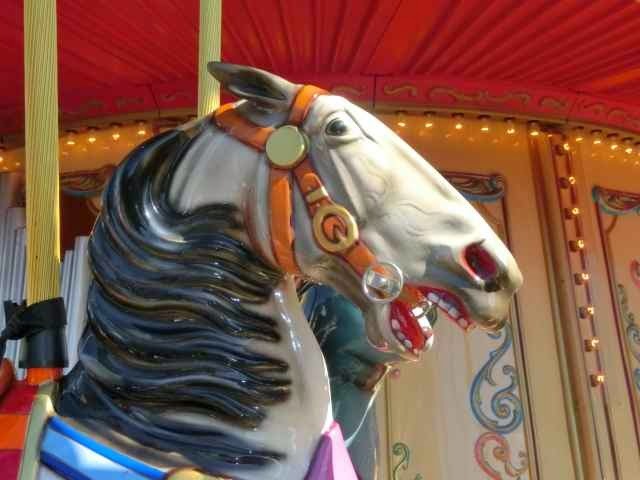 I did take pictures of carousel horses. I was trying to work out why some of the horses look so scary. 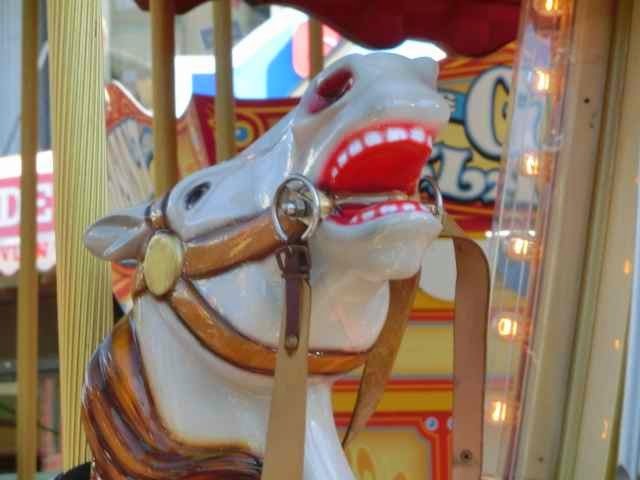 The San Francisco carousel horses would give a child nightmares with the whites of their eyes showing and baring their teeth. 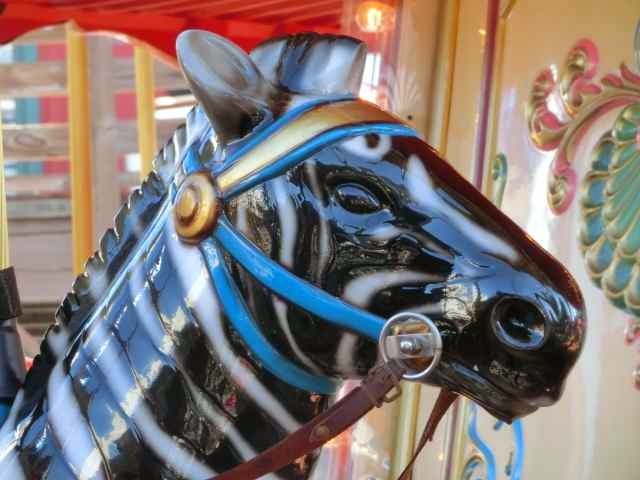 Even the zebra looks angry. Scary teeth, looks like it is going to bite. Eyes with the white showing or eyes with no whites. Just weird! 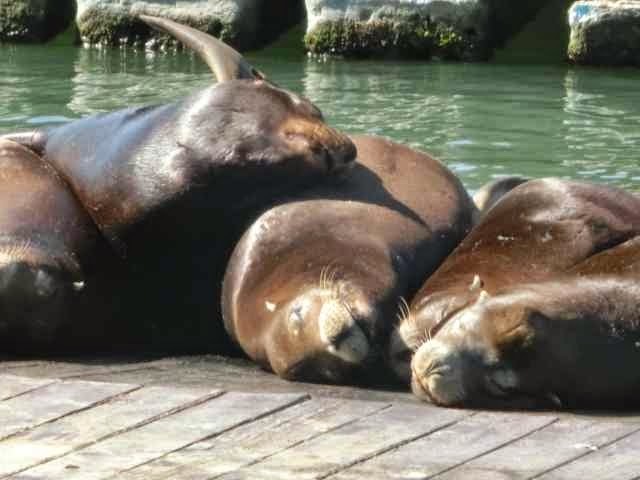 I also enjoyed trying to show how contented the seals at Fishermans Wharf look. 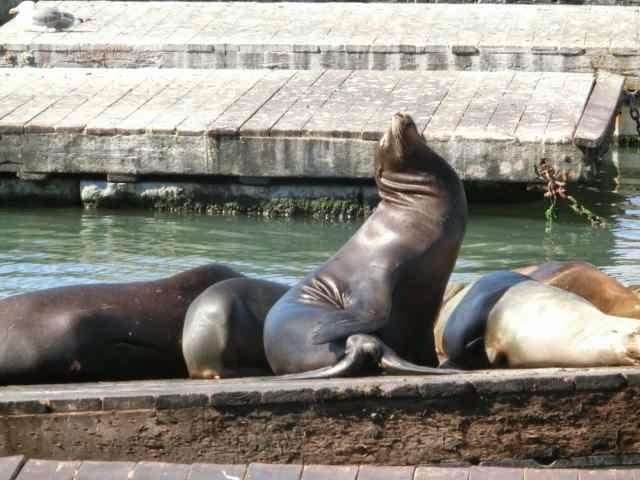 It was quite a nice sunny, warm day. Travels, Berlin, and hand dyed fabrics.